The newest iPhone 8 case with Zipper pocket is now here! 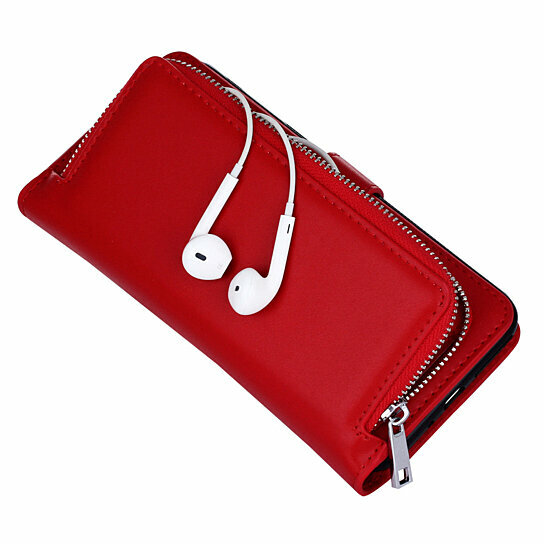 Stuff in your cash or headphones or keys with a built-in detachable case, which makes it easy to carry your whole wide world of essentials right in the palm of your hand. You also have slots inside the case to carry your credit cards and more. The phone has a magnetic case that is detached from the wallet when you like to answer the phone giving you comfort and safety like reading numbers on your cards from the wallet, without taking it out. It has a brass zipper pocket. A perfect fit for iPhone 8 or iPhone 8 Plus, guaranteed.